Static planning is a yesteryear function. Wake up to new-age dynamic route planning for your field agent management. Most of Fortune 500 companies are maximizing the value of their active field agents using intelligent planning and optimization. It’s the most appropriate tool at the hand of managers to reduce costs and improve efficiency. Field workforce management is more about accuracy and consistency than anything else. To create a sustainable and optimized permanent journey plan for all the field agents, companies require the support of intuitive and smart planning and routing engines. Subsequent results from the plan may be seen in higher efficiency and conversion (or successful task completion) rates while increasing field workforce utilization and reducing resource moment costs. Just to put things in perspective, a permanent journey plan (PJP) is the schedule of tasks and activities which a field professional such as a sales agent, field technician, medical representative, etc. would follow for maximum efficiency (such as more visits per day with optimum service time and strategic outlet-agent mapping for highest productivity). LogiNext’s field workforce optimization solution incorporates multiple constraints and requirements to create the perfect PJP which is cost-effective and efficient in terms of resource utilization, revenue mapping across outlets, and field agent performance tracking. There are multiple factors which form the basis for creating the optimum PJP for any field agent. Let’s look into some of these factors and how they affect the overall plan. It is important to identify territories and outlets in terms of revenue and potential. These territories can be mapped in a clear geofence within LogiNext’s system. The categorization of these territories or outlets would shape the strategy used to handle them. Here the strategy means which field agent must visit which outlet at what time and at what frequency. This takes into account the revenue or business importance each territory or outlet holds. Once the territories are mapped as per requirement, the visit schedule, also known as a beat plan or PJP, are created. The factors driving this plan may be optimizing service time (time spent at each visit), increasing overall visits per day, or reducing the total distance traveled in a day. The focus of the planning could be improving reach or penetration within territories or creating a systematic schedule which ensures regular and timely visits to all outlets (or meetings). Optimal service time Field agents spend adequate time at each outlet or meeting to ensure higher conversion and better relations. Increased visits per day Higher number of visits resulting in maximum coverage in areas that are spread out. Reduced distance traveled per day Optimized routes for shorter travel time with an added benefit of developing clustered territories (visits in close proximity to each other). Timely and regular visits Visits planned at regular intervals to sustain revenue and order cycles across territories, product categories, and field agents. This also helps in sustaining the relationship with customers (clients). Preferred time slots Visits planned as per the preferred time slots as suggested by clients/outlets. Many outlets keep specific time slots for interacting with field agents and representatives. Overlap avoidance Multiple field agents shouldn’t visit the same client/outlet. The company may want that each outlet is visited every Monday, visited exclusively by one category-expert agent, or something else, and such a PJP should not intersect with the PJP of another field agent. Such overlap (or mirroring) can be avoided using machine-learning backed planning. consistently assign field agents to territories/outlets where they (field agents) have more ground-level knowledge or share better relations. Once all field agent skill-sets and preferences have been recorded and processed in the system, the subsequent automated allocation would create the optimized PJP for each agent. Recommended Read: Are You Watching Your Field Workforce Properly? Get Your Binoculars! Each PJP is optimized for local traffic conditions to suggest the best route to be taken to fulfill all the planned visits. The field agent can view the entire list in their mobile apps with clear mapped directions for the entire day. They can check their schedule across a timeline and plan their movement accordingly. The system predicts accurate estimated time of arrival (ETA) for each visit which is accessible and visible to all stakeholders. Any delays or detention is easily noted and reported for complete transparency. Moreover, the service time can be easily tracked once the field agent checks-in on the visit to the point when the agent checks-out. All activities within that time frame are captured in real-time, such as order-taking or service-validation, which are authenticated by the client at the same time. This adds to the overall transparency of the system. All the points of planning, allocation, dispatch, in-transit tracking, service time tracking, service validation, are captured in company’s system. The manager can view and analyze the performance of territories, outlets, and field agents from within one dashboard. The manager can track any process bottlenecks or opportunities to better the current planning. The company can evaluate multiple strategies to figure out which one works best for them. Even at the planning stage, the manager can evaluate multiple PJPs side-by-side before deployment to understand which one creates the most value. The idea is to create the most optimal plan for mobilizing the field agents in the best way to fulfill the overall revenue potential across territories. 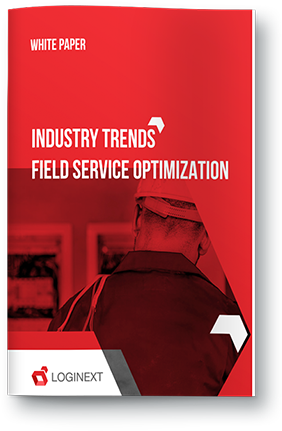 Field workforce optimization would reduce the overall cost of planning and resource movement while directing the processes to higher efficiency and profitability.